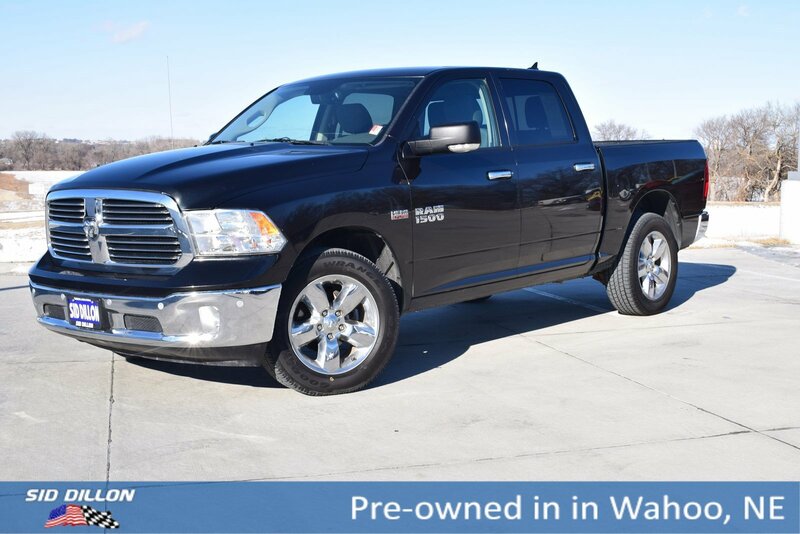 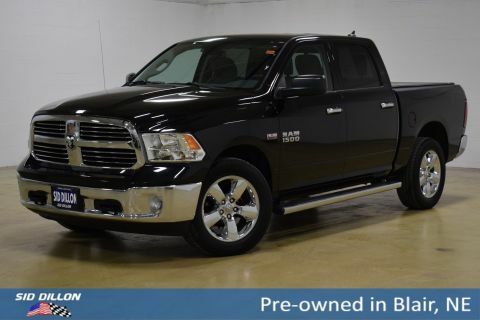 Check out this 2016 Ram 1500 Big Horn while we still have it in stock! 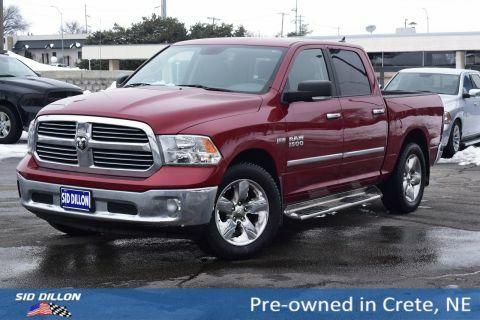 QUICK ORDER PACKAGE 26S BIG HORN -inc: Engine: 5.7L V8 HEMI MDS VVT, Transmission: 8-Speed Automatic (8HP70), Steering Wheel Mounted Audio Controls, Sun Visors w/Illuminated Vanity Mirrors, Glove Box Lamp, Underhood Lamp, Ash Tray Lamp, Big Horn Badge, Leather Wrapped Steering Wheel, Bright/Bright Billets Grille, Rear View Auto Dim Mirror w/Microphone, GVWR: 6,900 lbs, LED Bed Lighting, Overhead Console w/Garage Door Opener, Universal Garage Door Opener, Dual Rear Exhaust w/Bright Tips, Locking Lug Nuts, Full Size Temporary Use Spare Tire, Electroluminescent Instrument Cluster, Exterior Mirrors Courtesy Lamps, Auto Dim Exterior Mirrors, Big Horn Regional Package, Exterior Mirrors w/Supplemental Signals, Rear Dome w/On/Off Switch Lamp, Power Heated Fold-Away Mirrors, Electric Shift On Demand Transfer Case, Remote Start System, Power Folding Mirrors, Security Alarm, Nav-Capable! 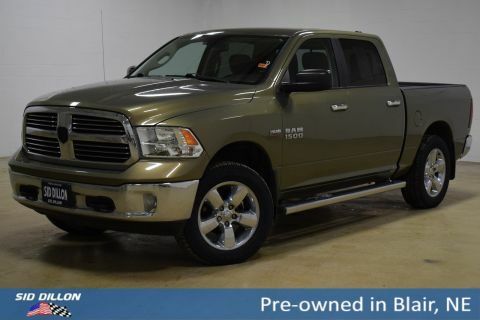 See Dealer for Details, 6 Month Trial (Registration Required), Media Hub (SD, USB, AUX), Uconnect Access, 8.4 , WHEELS: 20 X 8 ALUMINUM CHROME CLAD -inc: Locking Lug Nuts, Full Size Temporary Use Spare Tire (STD), TRANSMISSION: 8-SPEED AUTOMATIC (8HP70), TIRES: P275/60R20 BSW AS (STD), HEATED SEATS & WHEEL GROUP -inc: Heated Steering Wheel, Heated Front Seats, Humidity Sensor, GVWR: 6,900 LBS, ENGINE: 5.7L V8 HEMI MDS VVT -inc: Electronically Controlled Throttle, Hemi Badge, Next Generation Engine Controller, Heavy Duty Engine Cooling, Heavy Duty Transmission Oil Cooler, DIESEL GRAY/BLACK, PREMIUM CLOTH BUCKET SEATS -inc: Full Length Upgraded Floor Console, Power Lumbar Adjust, Folding Flat Load Floor Storage, 115V Auxiliary Power Outlet, Bucket Seats, Rear 60/40 Split Folding Seat, Power 10-Way Driver Seat, BRILLIANT BLACK CRYSTAL PEARLCOAT, 32 GALLON FUEL TANK.